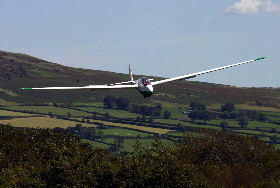 Dartmoor Gliding Society is a small but very friendly club located on picturesque moorland in beautiful South Devon within sight of the very well known Brentor Church. 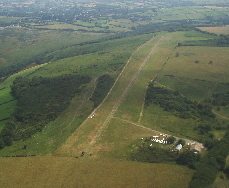 Our Club was founded in 1983 by a small group of enthusiasts with a twin seat open cockpit glider with a wooden hut to keep it in and a lot of energy to carve out a runway on the top of Burnford Common. 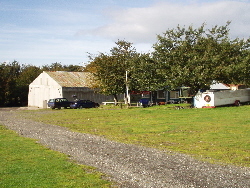 From these humble beginnings the club has steadily progressed to become the thriving gliding community it is today. The club now boasts a well cared for grass runway, a refurbished club house and a purpose built hangar to house the club fleet of 2 twin seat training gliders and 2 single seat gliders. Launching is by winch only. The site offers good thermal soaring and , when the wind is in the east, Wave to heights in excess of 16000 feet right off the end of the wire.